You've gone to the trouble of collecting email address to build your subscriber list. You know it's important that you have some way to keep in touch with people who are mildly interested in your business. And yet now you have no idea what to send them? 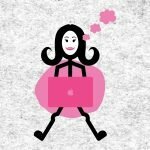 A link to your latest blog post? A witty anecdote from your life? 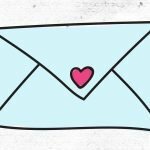 In this 10-minute tutorial, I'll ask you two questions that change the way you think about email marketing. (Don't want to watch the whole thing? Scroll down to the highlights below the video). Who wants to know what to put in your emails that you send to your subscriber list? Not when they first sign-up (that's your automated email sequence), or when you've got something to promote (that'll be a launch sequence). What do you send to your subscriber list in the in-between time when, it's just business-as-usual. Should you be emailing them at all? And if so, how often, and what should you be sending them? I have two questions to ask back to you to help you get to the right answer for your business. 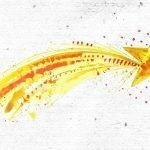 #1 Why have you built the email list in the first place? What is the goal? What is it that you would like to send those people? Often people build their email list because they want to be able to announce when they've got something new, or they want to announce availability, or they want to drive sales in some way. And then they forget about sending anything to the email list until they want to ask for the sale and so the subscribers get nothing and then they get an email that says, ‘hey, buy my stuff' followed by another email, ‘hey, buy my stuff', and then another one that's ‘buy my stuff' and then they don't get another email for ages and ages again. If you want to have that email list so that you send email sales pitches to them, you need to train those subscribers to open your emails and be expecting something good inside them…..Which brings me to the second question…. #2 Why did they sign up in the first place? Why did they hand over their email address? And most likely they did it because they found your website, they saw what you had to offer and in some way wanted to keep in touch with you because they wanted more of what you've got. That includes wanting to know when you sell stuff, or wanting to know about your availability for 1-1 work. But they also want to know when you've got more good free stuff for them to enjoy (and to show you are a credible expert in your field). You need to balance the emails that you send out that are pitching for a sale, with emails that give value. 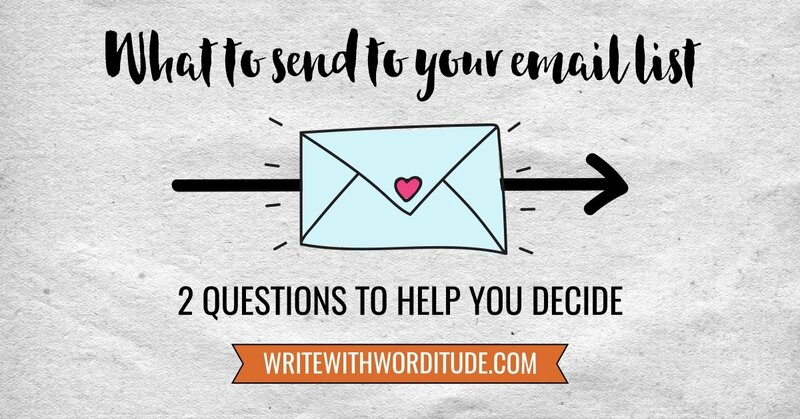 I use my email list in a slightly different way because people are only on my list if they have completed a sign-up box, called ‘Never Miss Good Stuff From Worditude' - see it here. My newsletter contains a summary of the best content that I've created or that I've come across in the last seven days and then a little overview of what's coming up in the days to come. 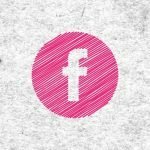 What goes in my newsletter email vs on my Facebook page? Let's go way back to the days before we had the internet to help us keep informed. One way that people in small communities used to keep in touch was using a noticeboard outside the local church or the community hall. I imagine that noticeboard to be like my Facebook Page. The information, the announcements on it, are fairly disjointed. They're individual posters or leaflets slapped onto the notice board and if people are eager to find out the latest news, they can't wait, they want to know what it is right now, then they can head on down to the noticeboard and they'll find all the latest news from their local community. My newsletter is more bit like a parish (or village/town) magazine that comes through once a week or once a month. These magazines give a summary of all of those most important updates, most of which have probably been slapped on the noticeboard at some point. The folks who don't want to hike down to the community noticeboard regularly can rest safe in the knowledge that once a week (or once a month) the parish magazine's going to drop through their letterbox and they can have a quick scan through it and pick out anything that's of interest to them. That's my distinction between what I put on social media and what goes in my newsletter to my subscribers. I imagine the people that want the latest news and freshest content, right now, on demand, will check out my Facebook Page. And then there's another group of people who just want to check up on my email to see if they've missed anything interesting. Making that clear distinction in my head makes it really easy for me to write my weekly newsletter because I just look at the content that I've created in the last seven days and put it in the newsletter. There's another reason why I bother with writing emails and that's because I really love to interact with the people on my list. I love people to write back to me and say, ‘this made me laugh', or ‘yes this is so true for me too, I can completely identify with that' or ‘that's really helped me'. That is a massive part of why I love running my own business. Money is nice. It's nice signing-up new VIP members and getting paid. But actually one of the best parts for me is being able to share little bits of my story and hear back from people in my audience, who want to share their experience too. …I consider what my intention behind this email is? First I have promised people that they get an update of all the best stuff that's happened this week, so I'm going to fulfill on that. But secondly, I would really love a response to what I'm writing and so I put effort into how I phrase it and hope that people enjoy reading it. And thirdly, I want people to feel after they've opened one of my emails, it was worth the effort. ♦ Has it communicated everything I wanted to get across? ♦ Does it meet my goals? ♦ Am I fulfilling the subscriber's expectations? ♦ And most importantly…once the subscriber has taken two minutes out of their extremely busy life to read it, will they feel that they have in some way benefited from spending their time like that? Because if they haven't, then they're not likely to open your future emails. If you are wanting to only email your list there when you want to make a sale then I have a really quick workaround for you. Set up a really long automated new subscriber sequence that takes them on a tour of your best content so you don't have to think about remembering to email them week in, week out. Then you can just send those sales emails when you want to (often called broadcasts). 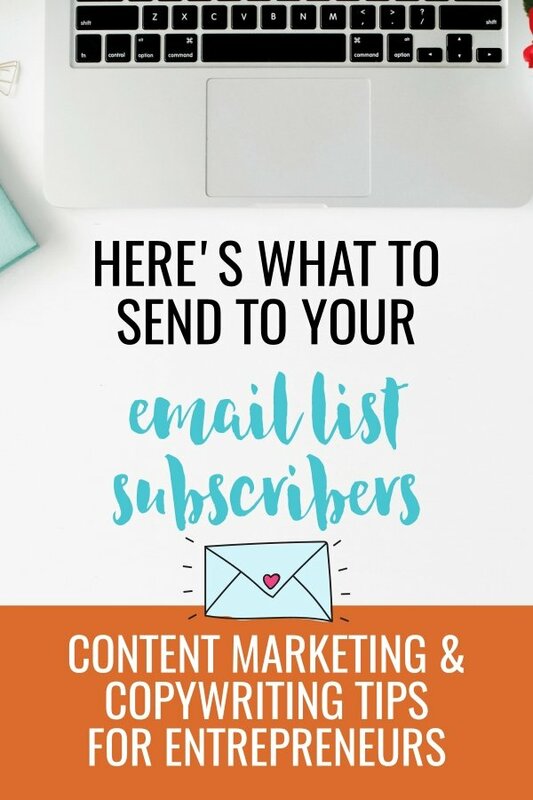 And because the automated emails have gone out, sharing your most valuable videos or blog posts or whatever free content that you've got that you want to show off, you've trained your subscribers to open those emails. 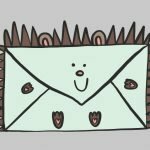 Beginner's guide to email marketing for small and micro businesses.